Capoeira is a Brazilian Art Form, which combines elements of dance, play and ritualistic fighting. It evolved from the struggle of African slaves against their oppressors and its history is deep with Warrior rituals from Central Africa. 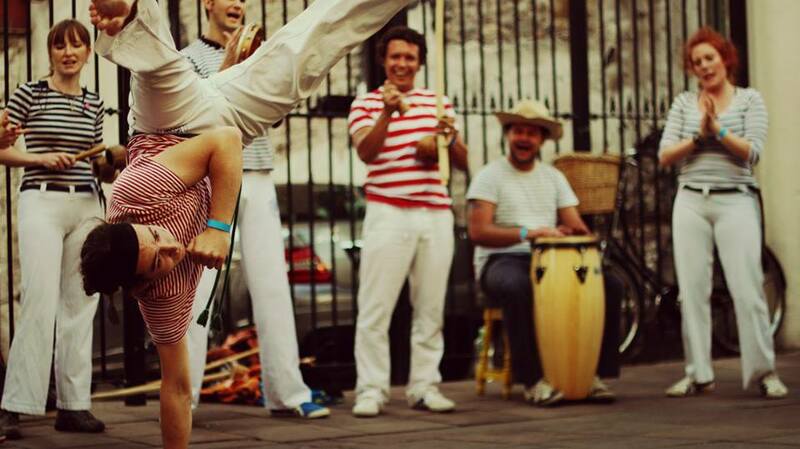 Capoeira is a celebration of life in the face of everyday struggle. It develops confidence, combined with a strong feeling of centre and balance. Capoeira's circular and evasive movements, combined with its rich tradition of music and song, place it in a unique position as an art, and always poses the question "is Capoeira a game, a fight or a dance"? Capoeira games require the grace and agility of a dancer, with the strength and skill of a warrior. Always central to the message of Capoeira is unity and bringing people together to keep continual flow regardless of the game and to find peace, joy and fulfilment in the game and in life.